Join the Florida State University’s Museum of Fine Arts for a new exhibition showcasing Faculty members’ artwork. The Department of Art has once again been generous enough to share new faculty works with MoFA guests and students. This exhibition is an opportunity for visitors to leave the usual trail behind and to anticipate surprises—traveling from one adventurous statement to the next. Artworks in the exhibition are from studios where conceptual and digital art goes in unprecedented directions and where the figurative and the abstract describe the unpredictable arc of contemporary art. Allies4Art are hosting an event at the Museum where new faculty artists will give brief walking tours of their works. From 6:00p – 7:30p on January 15, guests may support the scholarship initiative of the Department of Art with a suggested donation of $25. Dave Gilchrist and Lilian Garcia-Roig invite you to a wine-and-cheese reception at MoFA with mini-lectures by Dan Torop, Jeff Beekman and Rob Duarte. 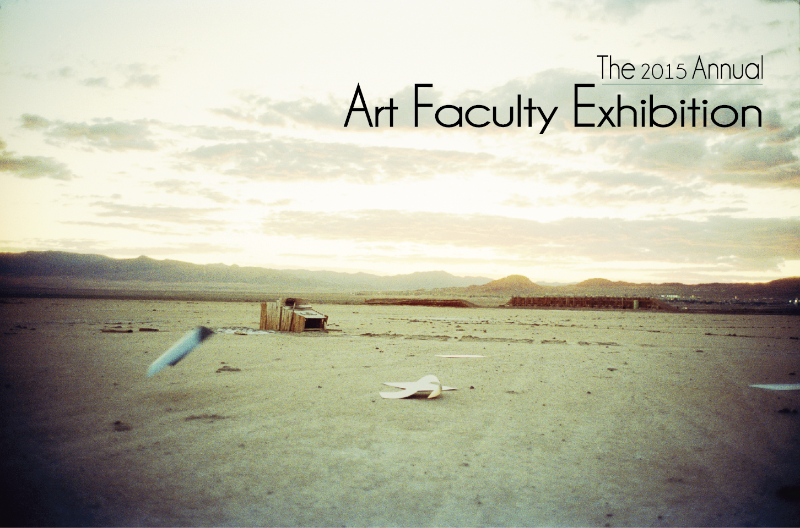 The Faculty Annual – 1/9/15 – 2/1/15. Dates & Hours: opening Friday, January 9, 2015, from 6-8pm; M-F 9am-4pm; Sat. Sun. 1-4pm; closed on the January 19 Martin Luther King, Jr. Holiday.